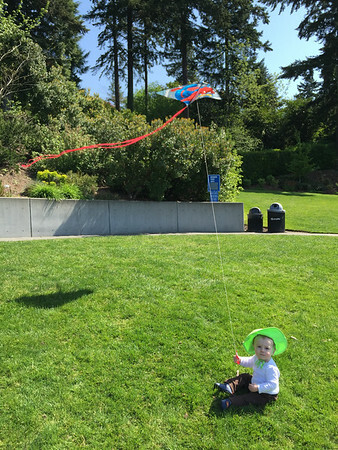 Nicholas’ first time flying a kite. He had this skill mastered in just a few minutes. Cooper was really afraid to hold the kite and really didn’t want Nicholas to hold it either. When inquiring more it came out he was worried the kite would take them away like it did to Curious George in one of the stories.